Micronutrients shown to reduce death rate and increase our ability to fight fat. How many times on television have you heard medical experts say there are no studies that show any benefits to taking a multivitamin? 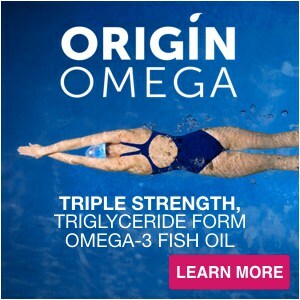 However, as you know from reading Naked Calories, our explanation of Anti-Competition Technology or ourABC’s of optimal supplementation guidelines (found in our Discovery Center), it isn’t that vitamins, minerals and essential fatty acids haven’t been shown to be beneficial to our health – its because most multivitamins disregard the natural micronutrient competitions that occur when you just throw all of the micronutrients into one little pill or capsule. The battle that takes place between the competing micronutrients leaves most of them unable to be absorbed and thus unable to do their jobs and ultimately benefit your health. 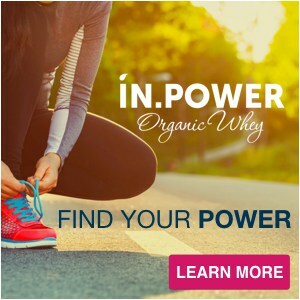 Recently, both a published journal study and a magazine article have come out that illustrate how vitamins and minerals can greatly benefit our health when micronutrient competitions and synergies are taken into consideration. The first, published in the Journal of Clinical Endocrinology & Metabolismfound that based on data from eight clinical trials involving more than 70,000 older adults, that those given vitamin D and calcium supplements were 9% less likely to die over three years than those given placebo pills! Vitamin D on its own showed no effect on death rates, but when it was combined with it’s synergistic counterpart calcium, researchers saw a significant decrease in death risk. …And now for magnesium’s competitions and synergies. 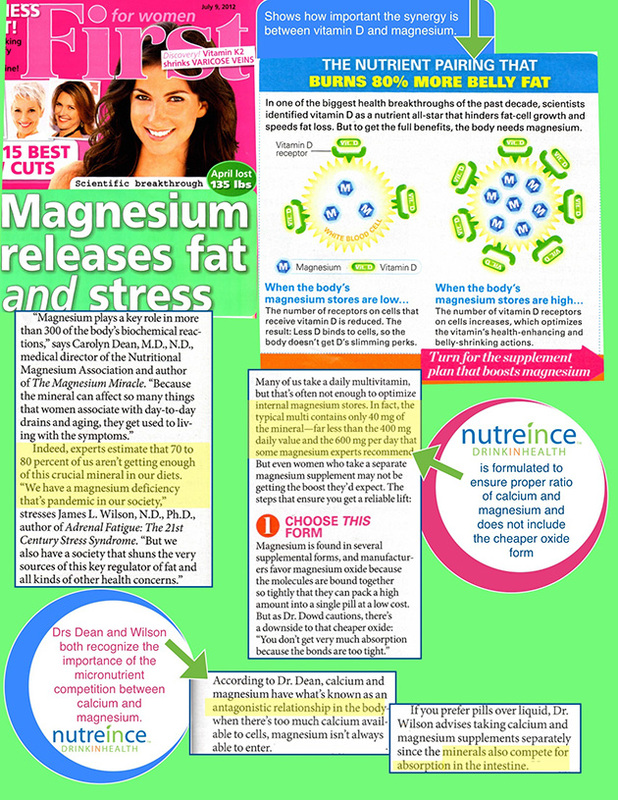 Dr. Dean and Dr. Wilson also point out that taking magnesium with calcium at the same time (like in a typical multivitamin) is not recommended in that “calcium and magnesium have what’s known as an antagonistic relationship in the body.” Here at Calton Nutrition we call these micronutrient competitions. Dr. Wilson explains, “the minerals also compete for absorption in the intestine.” While calcium and magnesium are naturally competitive for absorption they are synergistic inside the body to help build strong bones. The article also reveals another amazing synergy that takes place inside the body between magnesium and vitamin D – It turns out that vitamin D’s fat burning benefits are hindered greatly when your body is deficient in magnesium. 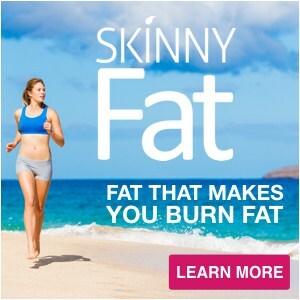 But, when you become magnesium sufficient the two work together to burn 80% more belly fat! Anti-Competition Technology to the Rescue. The bottom line is each vitamin, mineral and essential fatty acid can produce a wide array of amazing health benefits if we let them. Scientists, doctors and researchers like the ones mentioned above have dedicated their lives to understanding how micronutrients work and publishing their work so that the world at large can live longer healthier lives. Why continue to close your eyes and pop multivitamins that clearly do not conform to modern science? 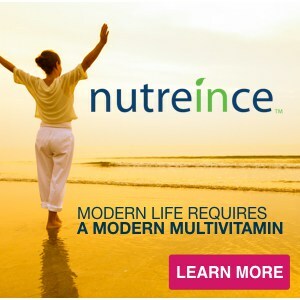 We have spent years of our lives to research and develop nutreince so that our family, our clients, and people like you can have a multivitamin that actually works. But it only works if you use it. 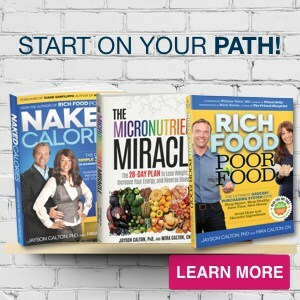 We applaud you for educating yourself about the potential health producing power of micronutrients by reading Naked Calories and our blogs, and urge you, if you haven’t already, to at least try nutreince. 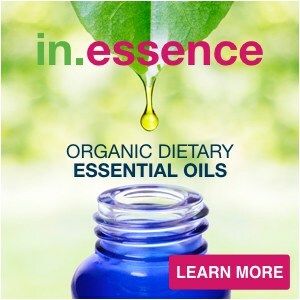 We are confident it will bring you one step closer to optimal health and to living your optimal life!